Yes, you read that right. There is indeed a Fashion Week dedicated to all things menswear, and it takes place in one of the trendiest spots in the world: Paris, France. Oh yeah, and you haven’t missed it yet, either. Here’s what to expect from this upcoming must-see event. Sure, New York Fashion Week takes place in September, but not Men’s Fashion Week. Instead, it’s held in late January, a month of fresh starts. This is a great chance to get a sneak preview of your favorite designers’ upcoming spring, summer, and autumn collections. What’s better than five days of fashion? Six days of fashion! 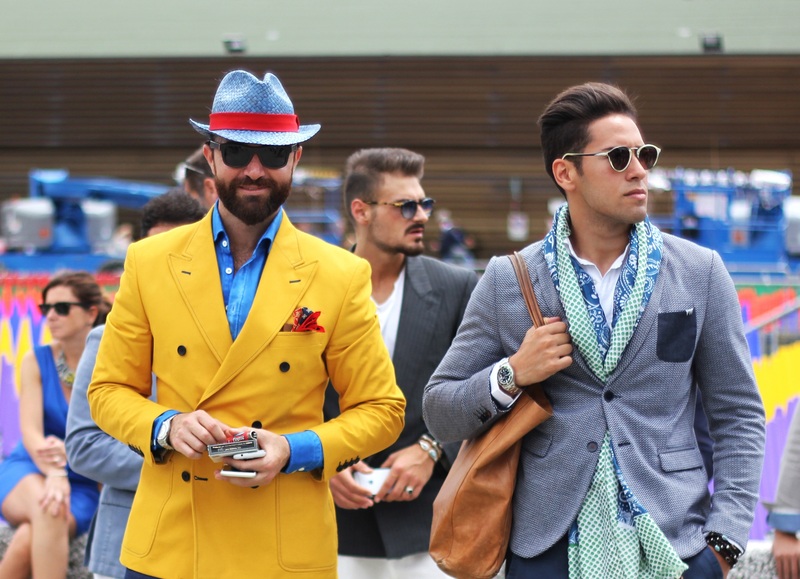 Men’s Fashion Week has tacked on an extra day for all the fashion brands to show off their latest looks. It now begins on January 16th and wraps up on January 21st. One of the most talked-about brands to showcase their work at Men’s Fashion Week is Vetements. Never heard of Vetements before? You’re about to. Until then, here’s a bit of background info. Hailing from Paris, Vetements is a relatively new fashion brand from Demna Gvasalia that was established in 2014. Gvasalia makes both men’s and women’s clothing, but it was his fashion shows that quickly put him on the map. From Chinese restaurants to basement darkrooms, Gvasalia proved that a catwalk can go just about anywhere. Expect to see his fall 2018 line on the fourth day of Men’s Fashion Week, January 19th. If you just can’t get enough, many other big fashion houses plan on doing shows during Men’s Fashion Week. On Day 1, January 16th, you can see GmbH, Namacheko, and Palomo Spain. Day 2 has a huge host of brands, among them Valentino, Haider Ackermann, Y/Project, Lemaire, Facetasm, and Julien David. For Day 3, you won’t want to miss Dries van Noten, Louis Vuitton, Rick Owens, or AMI Alexandre Mattiussi. Day 4 rolls on with shows from Berluti, Alexander McQueen, Maison Margiela, and others. Hermes, Balmain Homme, Wooyoungmi, and Dior Homme are some of the names on Day 5. The last day ends with new looks from Dunhill London, Paul Smith, Lanvin, and more.